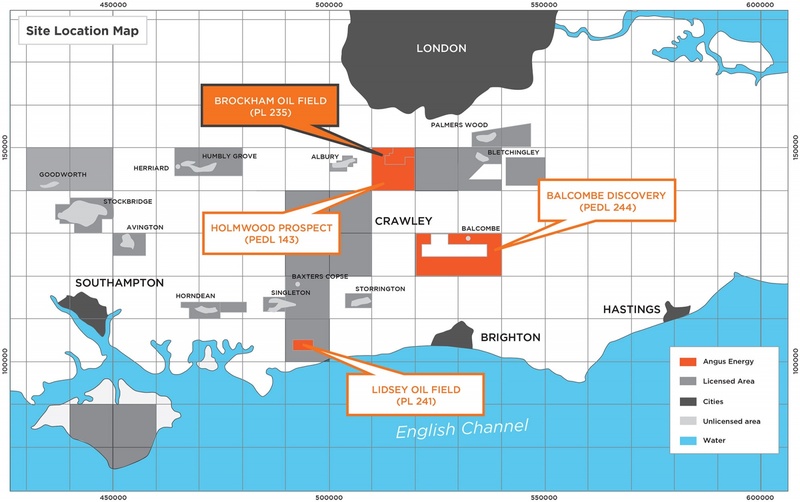 Angus Energy is the operator and majority partner of production licence PL235 located in the Weald Basin, onshore UK. Angus currently holds a 65% interest in the Brockham field. Brockham is situated on the northern flank of the Weald Basin along strike from the Albury and Palmers Wood fields. The structure is a faulted 3-way dip Jurassic closure with a conventional Portland Sandstone reservoir sealed by the overlying Purbeck Anhydrite. The field was originally discovered by the Brockham 1 exploration well drilled in 1987 by BP which found oil in the Portland Sandstone. Subsequently the Brockham X2 pilot hole and associated Brockham X2Z sidetrack well were drilled by SOCO and partners in 1998. The X2Z sidetrack was later abandoned having been drilled in a section of the reservoir with poor reservoir quality. As a result, the X2Z sidetrack was plugged back and the BRX2Y sidetrack drilled. This sidetrack BRX2Y is currently producing from the Portland Sandstone. In 2007 the BRX3 sidetrack was drilled from the original BR1 borehole and was converted into a water injector. 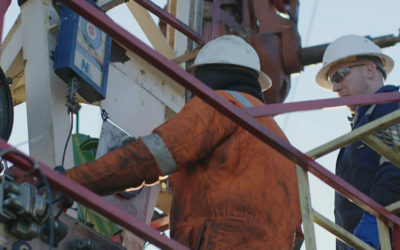 In 2017 Angus Energy drilled the BRX4Z sidetrack from the original BRX4 parent borehole to target the Kimmeridge Clay formation and micritic limestone layers that flowed successfully in the adjacent Horse Hill well during the 2016 Horse Hill-1 well test. 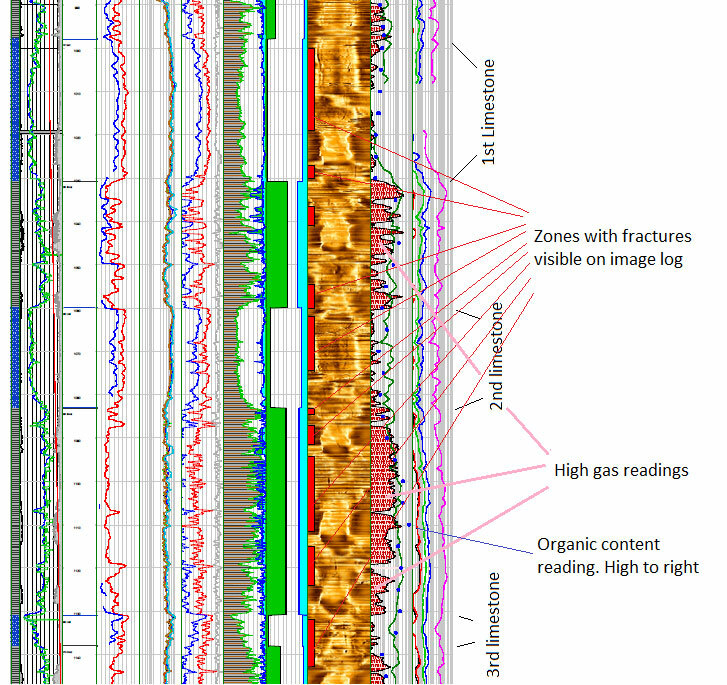 The BRX4Z sidetrack drilled by Angus Energy in 2017 targeted the Kimmeridge clay formation and the thick micritic limestone layers contained within it. These limestone layers can be correlated across from the Horse Hill-1 well, and even further south to the Angus 25% owned Balcombe discovery. 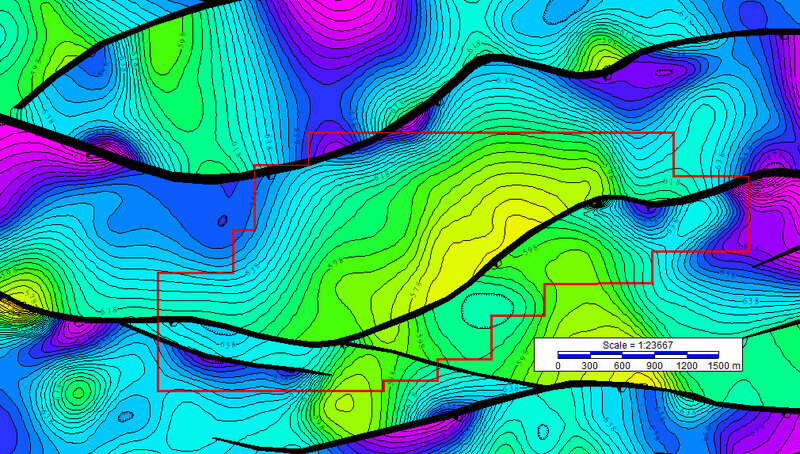 Analysis indicates that Brockham is very similar to the Horse Hill 1 well, with a similar maturity, organic content, and presence of natural fractures. BRX4Z penetrated a thick 385m TVD gross Kimmeridge shale section with limestone intervals and the use of a novel borehole imaging tool by Angus has proved the natural fractures that exist in the limestones. All operations at Brockham are performed through conventional production. There will be no hydraulic fracturing or “fracking”. Angus Energy plc is a member of UKOOG the representative body for the UK onshore oil and gas industry. Angus Energy is an OGA approved operator.